At Swift Industries we make your custom baggage from start to finish to your specifications, so the Holiday rush looks a little different here. It’s the only time of year that we reshuffle our wait list and work through our orders geographically instead of on a first-come-first-serve basis. Beginning in mid-November we get working on orders from far far away and work our way closer and closer to local orders from here in Seattle. 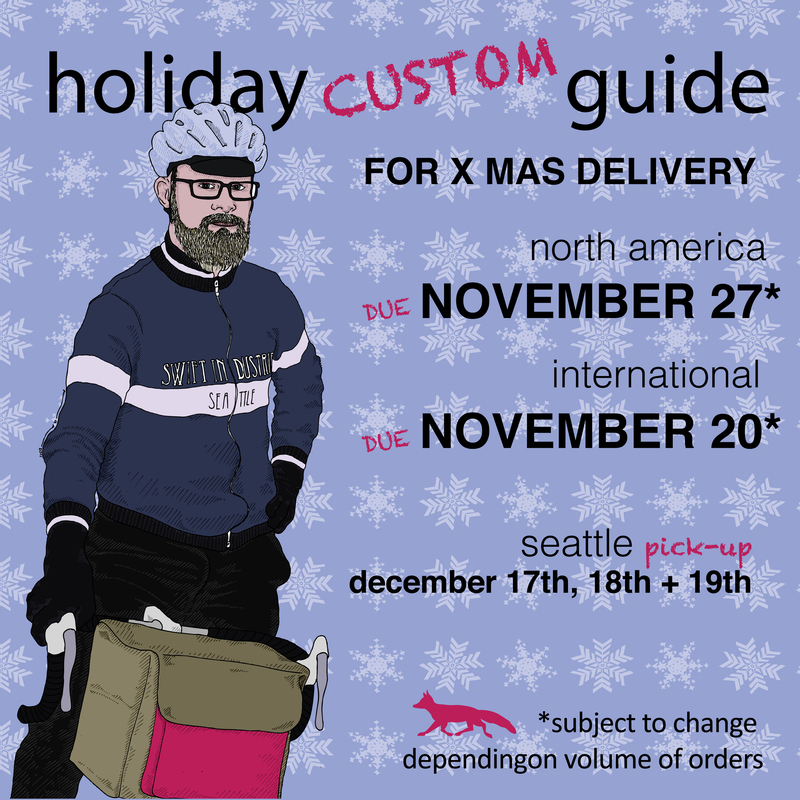 Seattle orders will be ready for pick-up at our store the weekend before Christmas. We close our queue when we’ve reached our shipping deadline capacity, so the published dates are subject to change. We ask that you plan ahead and place your orders before the end of November so that we can get cranking and make each gorgeous bag right in time for the gift-giving season. Spoil your cyclists rotten with stellar bags this season. We hope we can help make 2016 one of the best adventure-years on record!